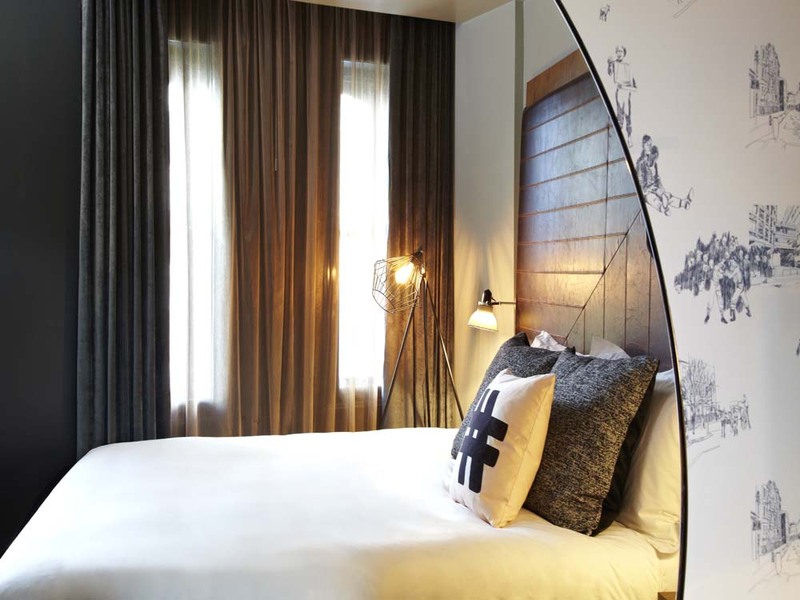 Why go: When the first Hoxton Hotel opened in Shoreditch in 2006 it quickly made a name for itself with its fresh, cool and value-for-money style. Now the company is older and feeling broody. Last October it gave birth to this zestful new hotel in High Holborn, and in July a third Hoxton hotel will open in Amsterdam, with Paris and Brooklyn to follow. Stay here and you’ll soon see what all the buzz is about. 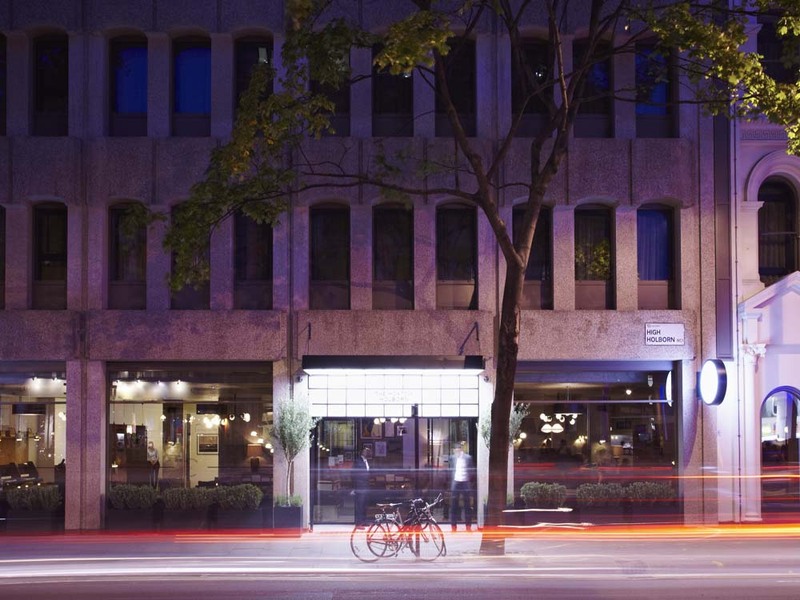 The look: Once a telephone exchange, the 174 room hotel is set on five floors with accommodation in four self-explanatory sizes: Shoebox, Snug, Cosy and Roomie. They’re all smartly compact, with a large round mirror filling one wall (so you may get a fright in the morning) and entertaining wallpapers by Marcus James and Toby Triumph that resemble story book illustrations – the subject matter can be surprisingly savage. Bathrooms have glossy black and white tiles, and there are nice touches galore: vintage Penguin paperbacks, Roberts radio, 42 inch TV, complimentary water, fresh milk with tea/coffee facilities. I’m hungry: This is one hotel where you might well want to hang out – plenty of people come in to enjoy its large, wood-floored lobby decorated with industrial-size lamps and 60s Danish furniture. There’s a DJ in action on Thursday to Sunday evenings and the bar does a good line in intriguing cocktails (£9.50). Alongside this, the Hubbard & Bell restaurant (hubbardandbell.com), usefully open till 2am, offers both long, communal bare wood tables and diner-style booths. The open kitchen serves satisfying fare ranging from a zingy red snapper carpaccio (£11) and lamb burger (£12) to Eton mess (£6). On the lower ground floor there’s a branch of Chicken Shop (chickenshop.com) and you can also get the perfect coffee fix next door at Holborn Grind (holborngrind.com). There’s room service too, while the nightly rate includes a breakfast bag hung on your door with OJ, granola and a banana – although we think a better option is to head down to Hubbard & Bell for a fine Full English (£10) or a set-you-up avocado on sourdough (£8). While you’re there: Get your nails, feet and make-up done at Cheeky (urcheeky.com), which is right by the hotel, and it’s just a short walk to Covent Garden with its myriad beauty brands (coventgardenlondonuk.com). 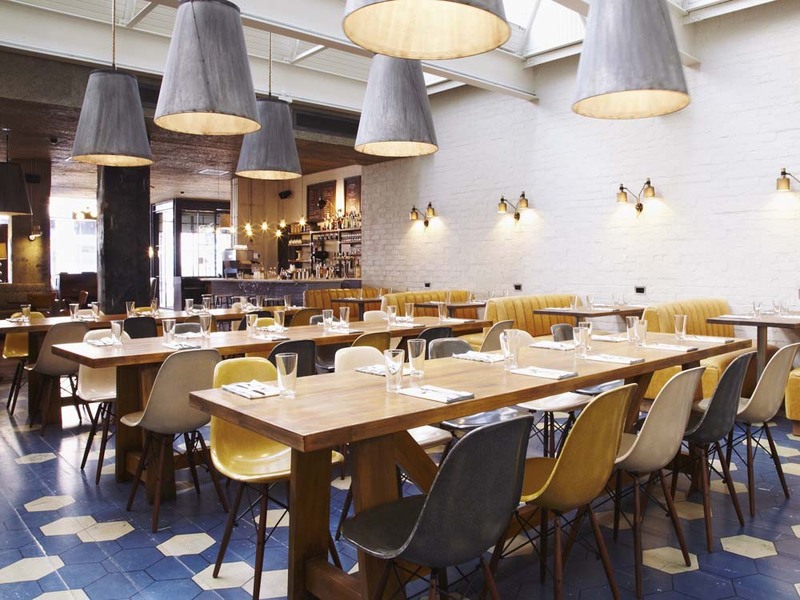 The hotel’s free Hoxtown Guide picks out the best places to go in the neighbourhood, such as the classic Princess Louise pub (princesslouisepub.co.uk) and cheese emporium Neals Yard Dairy (nealsyarddairy.co.uk). 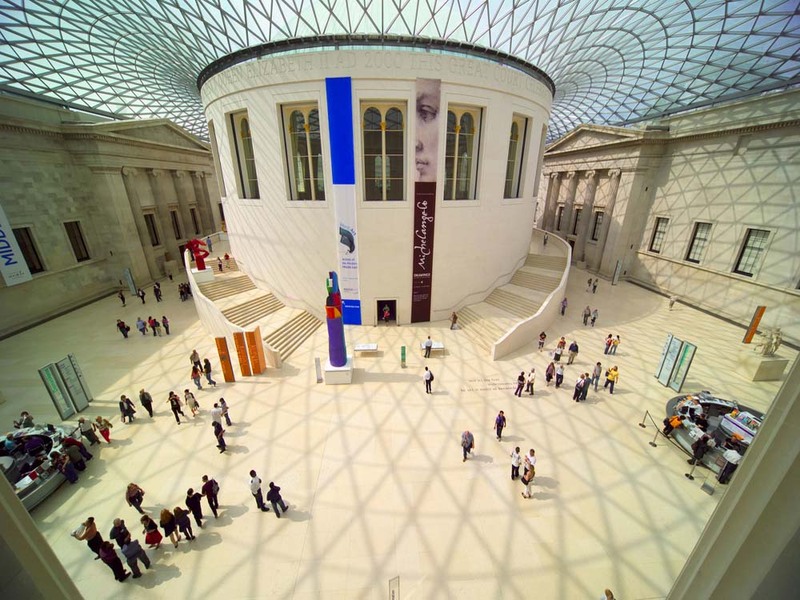 Culture-wise, you’re right by the free-entry British Museum (britishmuseum.org) which seems overwhelming but is stuffed full of wonders – don’t miss the Africa galleries (Room 25). If you want to go further afield, grab one of the hotel’s four Hox bikes that are free for guests to use. Dress code: cool, relaxed, some tattoos and a MacBook Air would help. Book now: 199-206 High Holborn, London, WC1V 7BD (020 7661 3000; thehoxton.com). Double rooms cost from £69 including a snack breakfast. Wi-Fi is free, plus an hour of phone calls. Holborn is the nearest Underground station. Info: Time Out London (Time Out; £13.99) is a detailed guide to the capital, and pick up a copy of its free weekly listings magazine, out every Tuesday, to see what’s on when you visit (timeout.com/london/free-mag). For more hot and happening things to do see urbanologie.com.